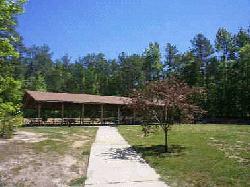 Community Park with Ball Fields, Picnic Facilities, Play Grounds, Restrooms, Shelters, Soccer Fields, Tennis Courts, and Water Fountains and a dog park. 1 Park... 4 separate fenced-in areas! Pineywood Park is located at the intersection of Woodcroft Parkway and Woodlake Drive. The park consists of more than 3 acres of land. Small dog area: For dogs 15” and smaller, 30 lbs. and under. Program area: This area is open to all, but also can be used for special playgroups, or an organized activity. For information and reservations, please call 560-4355. Lagniappe (Cajun for something extra) area: A smaller version of the program area where if your dog(s) needs a ‘time out’ or if you would like to work one on one with him/her. This area is open to all.